A quite rare strain(s), The Skunk Train does not incorporate legendary Trainwreck as the name implies, but much rather combines a train effect of 3 strains, each separately bred with a Skunk #1 male. The 3 mothers chosen were the elegant Kandy Kush, renowned OG #18 and oh-so-potent Sleestack. The Sleestack and Kandy Kush crosses offer decent-sized buds that are completely frosted over with a snow-covered layering of trichromes. The OG #18 variety doesn�t boast this same infestation of potency, but makes up for it with huge, elongated buds that proudly proclaim a high of over 2 � hours. All 3 crosses flower, for 8 - 9 weeks, however, the Kandy Kush cross is the only hybrid of the 3 that is recommended for 9 weeks rather than 8. Kandy Kush x Skunk #1 is a 65% sativa-dominant hybrid, OG #18 x Skunk #1 is a 60% sativa-dominant hybrid and the Sleestack x Skunk #1 is a 70% sativa-dominant variety. 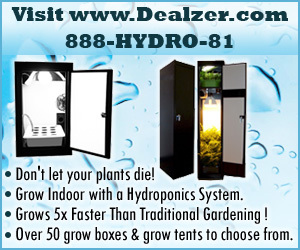 All are suitable for outdoor cultivation, but provide higher rewards - no pun intended - for indoor-grown meds. The yield from any variety will by no means be spectacular, however this sativa-dominant variety is quite possibly the best Skunk variety currently available. None of these crosses have a particularly low-calyx-to-leaf ratio, making for easy manicuring, with potent trimming yielding a good hash-yield with the right method. Flavor range from skunky, to citrus, to musky, spicy and like that of fuel with any of these varieties. An exdellent strain for nearly anyone to grow and still receive a decent yield of potent buds. Look for eighths of this stuff to go for around $55 at most dispensaries. The Skunk Train 0 out of 5 based on 0 ratings. 0 user reviews.